When the Henrietta Marie docked between voyages, the Port of London would have been infested with rats and they, along with lice, ticks, and roaches, would have made their way onto the ship. Of these, rats were the most dangerous. Not only did taint food supplies but also their fleas carried diseases, ranging from rat-bite fever to bubonic plague, known as the Black Death, which had yet to be eradicated in Europe. 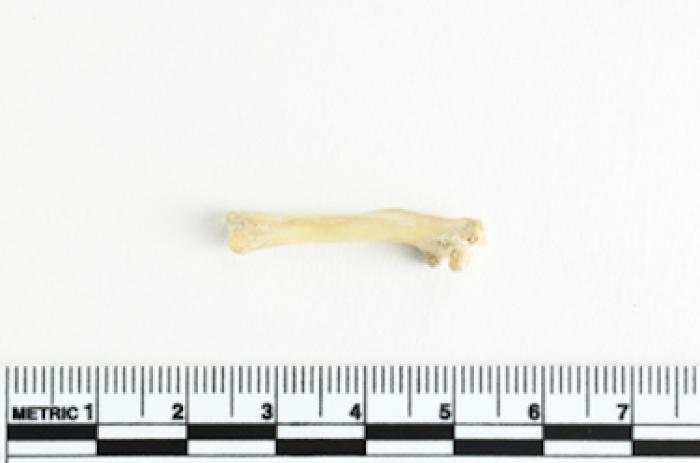 This small bone offers concrete evidence that the Henrietta Marie helped to extend the range of rattus rattus between England, West Africa, and the Americas. Aboard the Henrietta Marie, sailors and captives alike would have eaten food polluted by rat hairs, feces, and urine. The captives might have had to fight off rats that attacked them, or witness rats eating the bodies of anyone who had died in the hold whose corpse yet to be removed. However, when shipboard supplies ran low on long voyages, desperate sailors could hunt rats for meat. The larger and less agile “common rat” (rattus norvegicus), is thought to have originated in Northern China. It reached England in about 1728 but, by the end of the eighteenth century, this rat too had become a shipboard pest that spread to every continent except Antarctica.